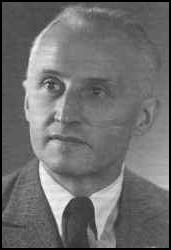 Lothar Kreyssig, the son of a grain merchant, was born in Flöha, Saxony, on 30th October, 1898. He was educated in Chemnitz and in 1916 he joined the German Army. During the First World War he served on the Western Front. In 1919 Kreyssig entered the University of Leipzig and began his studies in law. He receiving his doctorate in 1923. Three years later he went to work at the district court in Chemnitz and became a judge in 1928. 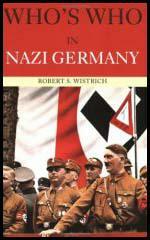 His progress was hampered by the fact he refused to join the National Socialist German Workers Party (NSDAP). Kreyssig continued to work in the legal profession and in 1937 he joined the lower district court at Brandenburg an der Havel to the lower district court. After an increase in the number of death certificates he was signing of mentally retarded children and adults in mental health hospitals, he became convinced that there was an euthanasia program in existence. 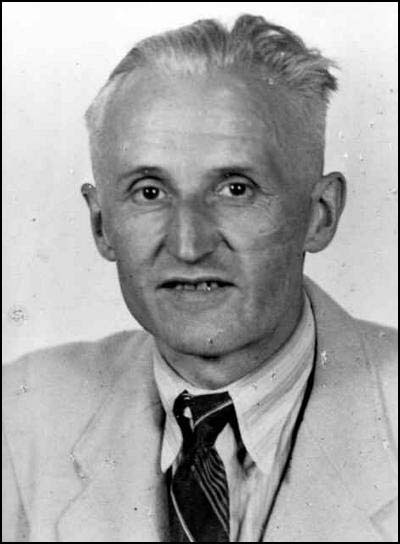 On 8th July, 1940, Lothar Kreyssig, sent a letter to Franz Gürtner, Germany's Minister of Justice, complaining about the treatment of the disabled and prisoners in concentration camps. "What is right is what benefits the people. In the name of this frightful doctrine - as yet, uncontradicted by any guardian of rights in Germany - entire sectors of communal living are excluded from having rights, for example, all the concentration camps, and now, all hospitals and sanatoriums." Kreyssig then filed a charge against Reichsleiter Philipp Bouhler for murder. On 13th November, 1940, Kreyssig was summoned by the Minister of Justice. Gürtner laid before him Hitler's personal letter that had started the euthanasia program and which constituted the sole legal basis for it. Kreyssig replied, "The Führer's word does not create a right." Gürtner dismissed Kreyssig from his post, telling him, "If you cannot recognise the will of the Führer as a source of law, then you cannot remain a judge." It is claimed that Kreyssig was the only German judge who attempted to stop the Action T4 euthanasia program. After the war Kreyssig lived in Eastern Germany. In 1958 he established the Action Reconciliation Service for Peace. Kreyssig. An appeal was read out during the synod of the Protestant Church in Germany and it was signed by two thirds of its members. It stated the following: “We Germans started the Second World War and for this reason alone, more than others, became guilty of causing immeasurable suffering to humankind. Germans have in sinful revolt against the will of God exterminated millions of Jews. Those of us who survived and did not this to happen did not do enough to prevent it”. Convinced that the first step towards reconciliation had to be made by the perpetrators and their descendants, the founders of Action Reconciliation pleased that “the other nations, who suffered because of us, will allow us with our hands and with our means to do something good in their countries” as a sign of reconciliation and peace. Kreyssing argued that young Germans should go to former enemy countries and to Israel to ask for forgiveness and show, by volunteering to do good deeds to atone for the bombing and crimes of the Second World War. The organization states: "The legacy of the Nazi past therefore retains significance as it links into contemporary life. Although the interpretation of this past differs from country to country it is clear that shared lessons can be applied to present day societies throughout Europe and the world. Acknowledging and understanding the impact of the past to ensure repetition does not occur, upholding democratic structures to create a fair and just world and respect and tolerance for every human being, irrespective of their skin colour, religion, sexual orientation, personal beliefs and political attitudes are all lessons that can be drawn from confronting and examining the consequences of National Socialism." Lothar Kreyssig died on 6th July, 1988. We Germans started the Second World War and for this reason alone, more than others, became guilty of causing immeasurable suffering to humankind. Germans have in sinful revolt against the will of God exterminated millions of Jews. Those of us who survived and did not this to happen did not do enough to prevent it... the other nations, who suffered because of us, will allow us with our hands and with our means to do something good in their countries” as a sign of reconciliation and peace.